Big Checks like this always make for a fun time. Basically what you have is an enlarged standard check, but customizable to how you like it. 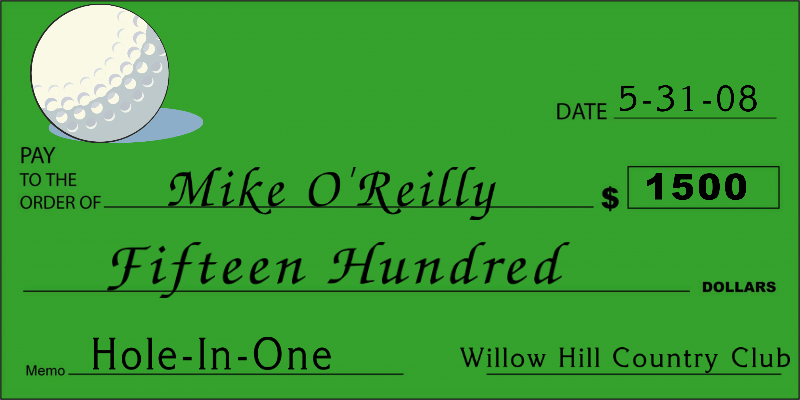 Using our online design tool, you can custom create a BIG check to work for whatever event you want it to. Of course we can work with you on sizing, either if you are looking for a smaller sized novelty check or a larger charity donation check. Big award checks, Big reward checks, Large business checks, Big dry erase checks and oversized nonprofit checks are other options for these fun novelty checks! 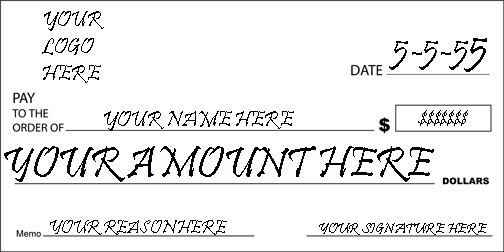 These “Huge” Checks can be used printed as an actual check or for fun and not to be cashed. 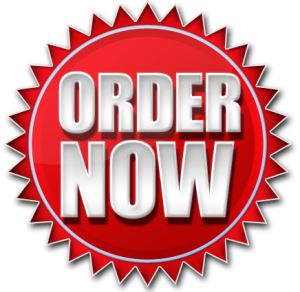 Either way, you are bound to get some fun and laughter out of these customizable novelty checks and here you have the power to make them that way with our online design tool. So what are you waiting for? 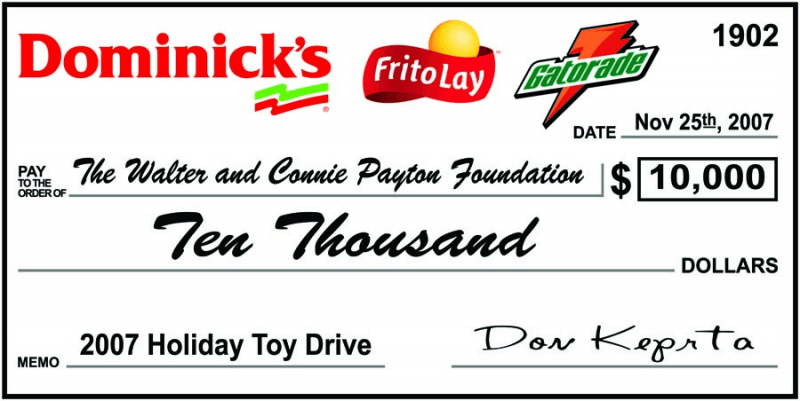 Design your very own Custom Oversized Novelty Check today! CLICK HERE TO DESIGN YOUR VERY OWN CUSTOM OVERSIZED CHECK! 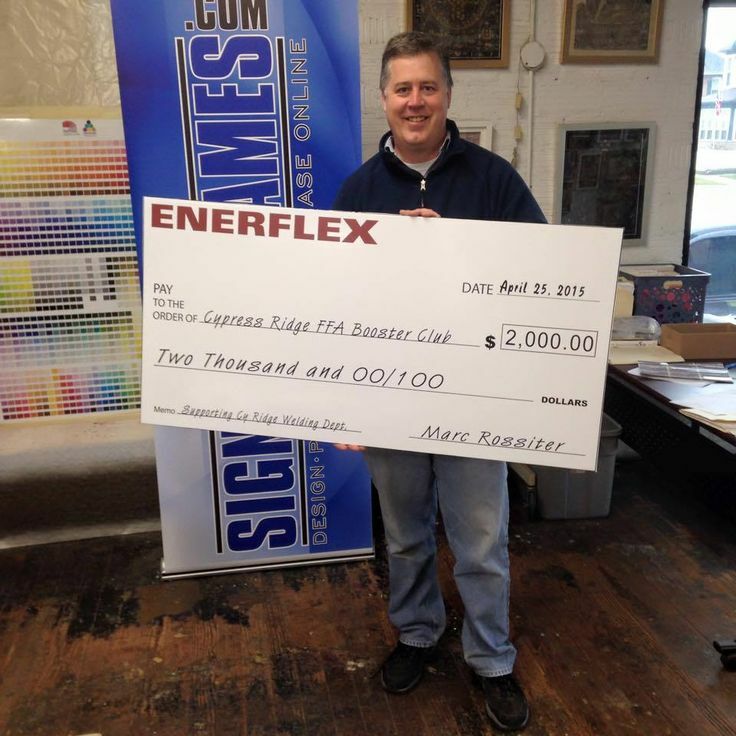 click here to design an oversized check!